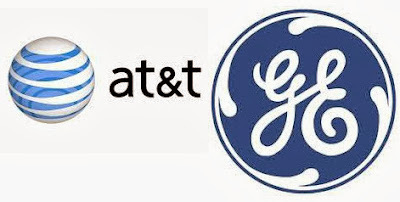 AT&T and GE have teamed up to connect what could be millions of future GE industrial lights, engines and other hardware with AT&T's global wireless network for remote tracking, monitoring and even operation of the machines. In an agreement announced Wednesday, GE said it will embed AT&T global wireless SIMs (Subscriber Identity Modules) in industrial products that will communicate over AT&T's cloud-based network. Using GE software called Predix, the two companies will collaborate to build software to maintain and remotely control industrial machines. With the partnership, an airline could remotely monitor, diagnose and resolve problems with its fleet of GE engines anywhere in the world, AT&T Business Solutions CEO Andy Geisse said. Mullooly said the Industrial Internet is a subset of what some companies are calling the Internet of Things (or as Gartner and Cisco term it, the Internet of Everything). Sometimes M2M is used synonymously with Internet of Things, he added. While Internet of Things refers to all forms of connectivity, including Wi-Fi, RFID, NFC and Bluetooth, M2M is generally viewed as a subset that is managed by a service provider such as AT&T. M2M may also use specific protocols, and buyers of M2M services are businesses and organizations rather than consumers, Mullooly said.